The Gators have played four games against top 25 teams so far this season and start conference games on January 4. The week off for the holiday break should serve No. 13 Florida well. So should a schedule that has seen the Gators already play many of their toughest opponents. Florida returns to the court for the first time in eight days on Sunday when they host Savannah State. The Gators have just two non-conference games remaining before they start SEC play, with a game against Richmond on Jan. 4 following this matchup. "I always get a little bit nervous the first day you come back, but I thought we’ve practiced well," coach Billy Donovan said of the break between games for the Gators. "It’s been good for us, given the fact that we are injecting new players into our team through injuries and suspensions and those types of things, where we didn’t have that luxury earlier." Few teams were tested as much as the Gators before league play tips off. Florida (9-2) has already played four games against Top 25 teams, tied for the most in the country. The team has wins over now-No. 16 Kansas and No. 17 Memphis, and its two losses have come to No. 4 Wisconsin and No. 15 Connecticut. During conference play, the Gators play three more games against teams currently ranked, with two meetings versus No. 18 Kentucky and one against No. 25 Missouri. Along with a potentially less challenging schedule for the second half of the season, Florida is also closer to having its complete roster. Point guards Scottie Wilbekin and Kasey Hill each missed time earlier in the season — Wilbekin because of an early season suspension and then an injury, Hill because of a high ankle sprain — but both played in the Gators most recent game, a 66-49 victory over Fresno State on Dec. 21. "Our chemistry can get a lot better, we’re going to start practice a lot together, because he was out at first, then I was out," Hill said of the point guard rotation with him and Wilbekin. "I think it’s going to get a lot better, because we are both unselfish guards. Forward Dorian Finney-Smith, who also missed time because of suspension, is back as well. Additionally, freshman Chris Walker is practicing, and Donovan is hoping the NCAA will hand down a decision regarding Walker’s eligibility after he had some academic issues that kept him off campus during the first semester. "It’s in the hands of the NCAA, it’s in the hands of our university," Donovan said. "I really do hope for his sake there can be some sort of timely decision, because he is on campus, he’s cleared to practice, but he’s not cleared to play right now." Walker will not play against Savannah State. 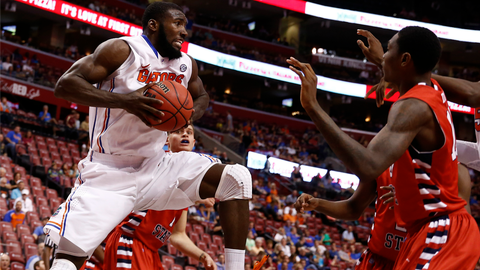 Senior Casey Prather has been one of the few constants for the Gators. One of only two players to start all 11 games, Prather has averaged a team-high 18.5 points and is shooting an SEC-best 62.4 percent. Savannah State (2-10) has struggled this season, getting its two wins against non-Division I teams. Devin Williams is averaging a team-leading 12.2 points and has scored 12.3 per game coming off the bench in his last six for the Tigers. Florida has won 21 consecutive home games, and is 2-0 all-time against the Tigers after winning 58-40 last season. Donovan is 22-0 lifetimes against teams in the MEAC. Since the start of the 2003-04 season, Savannah State has lost all 12 of its games to ranked opponents by an average of 37.0 points.